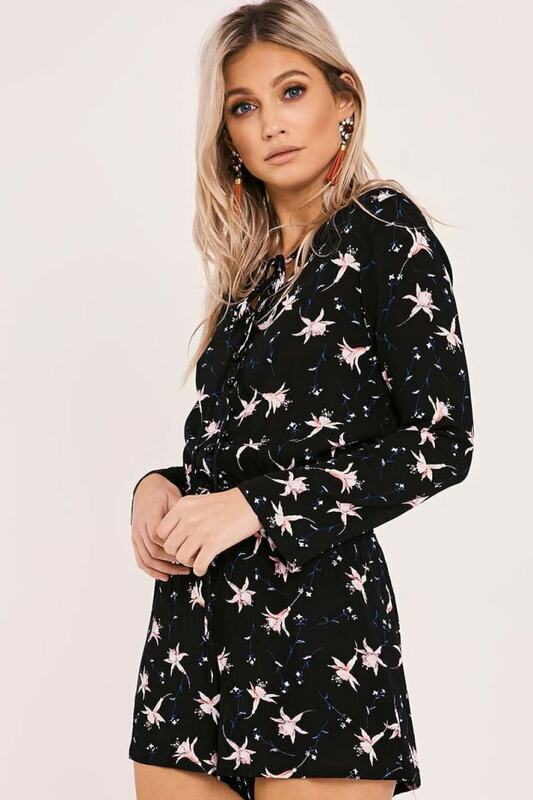 Give your wardrobe that new season glow by getting this flirty floral playsuit in there RN! Featuring a button down front, ruched waist and tie front, this little number is guaranteed to get you noticed for all the right reasons this season! Style with black heels and tassel earrings to keep your style on fleek!